Some local fascist haunts have been hunted down in our areas. This is to combat continuing fascist stirrings like racist assaults, intimidation and graffiti here in Bristol* and elsewhere. 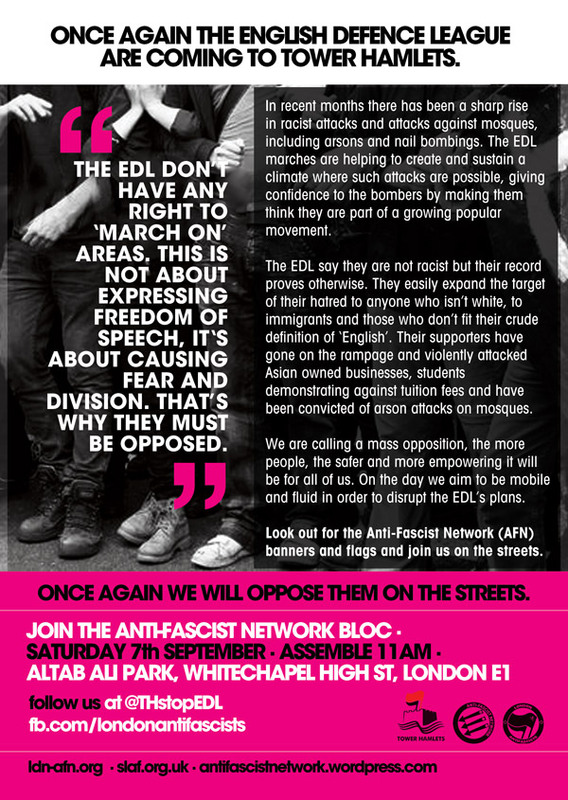 The far-right will be fought in the daytime like in Brighton last Sunday, or at night when we choose. EDL Fascist Chris Pugh plays as DJ around Bristol pubs under the name of The Last Resort, and runs a retro shop under the same name on the Wells Road. His street stall in St.Nicholas market ceased trading after being publicly paintbombed on a Saturday by anti-fascists. His shop is a few minutes from his house in Knowle West (47 Salcombe Rd), the stomping ground of his youth. So, on the night of Tuesday 15th April, all four tyres were punctured on his Grey Jaguar car, and body work scratched. It’s the least we can do for him right now. Two days later, at the Apple Tree pub in Philips street, off Bedminister parade, two downstairs windows and one upstairs were smashed at sunrise. The pub is a consecutive meeting place of EDL organisers, such as Mickey Bayliss, who organised the EDL demo in central Bristol last year as their South-West co-ordinator. 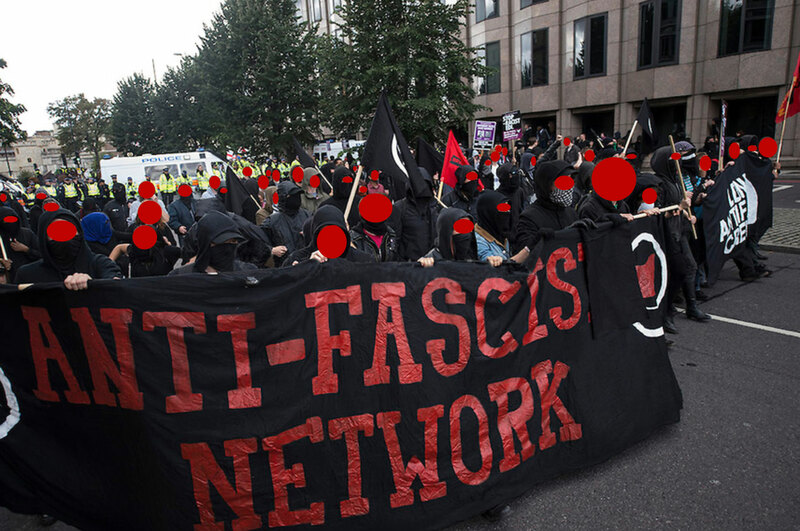 Attack the racists and fascists, history has always proved that they’ll be the allies of the bosses, patriarchs and the state, pretending to speak for the white underdog. It’s a mistake to let them fester. Lastly, across the channel in Calais fascists have fallen back for the moment after an international call-out to fight their repeated attacks on squats and migrants, though the bigger enemy remains the authorities and the state. Solidarity to Damien Camelio also in France doing time for burning buildings used by the army, the prison service, National Front, and calling to arms against repression in all forms. A data breach has been noticed in the English Defence League organisation. Major details of the organisation’s leaders and members have been revealed. ‘Hackers’ have leaked several details of English Defence League’s leadership. 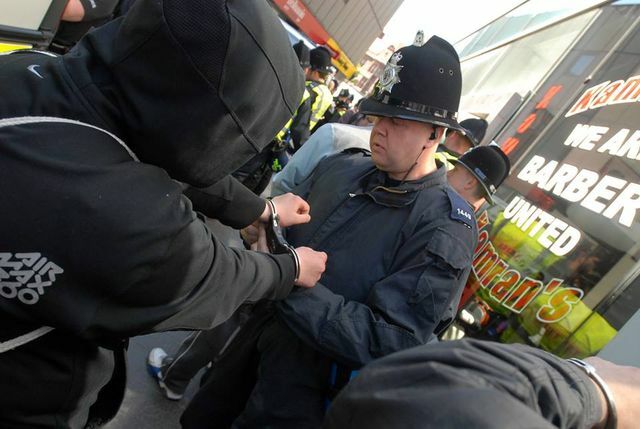 A ‘zine’ which is also known as an ‘archive’ or ‘resource’ has been released by the notorious security organisation ‘TeaMp0isoN’ which they themselves have entitled ‘EDL Leadership Exposed’.